Hot 100: discover the most exciting tech in the world in the new issue of T3! Plus, get a FREE Anker battery pack with our special offer! 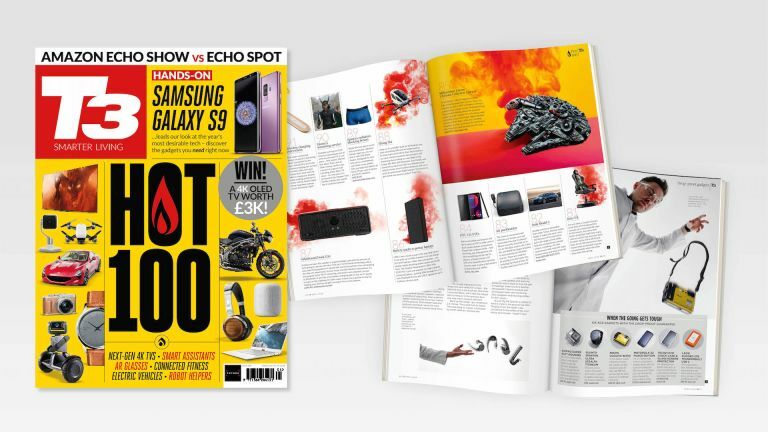 The new issue of T3 is out now, and it's a big one – it's our annual Hot 100 list of the most exciting gadgets people and tech developments you need to know about. It's packed with the best products that have just come out, trends that are changing the industry, the coolest tech coming this year, and creators shaping the tech world. Plus, right now, we're offering an Anker battery back thrown in with T3 subscriptions! You can read a sample of the issue below, or read on to find out what else is in it! Check out T3 subscriptions that come with a FREE Anker battery pack! We’re on Readly – all your favourite magazines for £7.99 a month! There's loads more in this issue too, of course! Ever wondered if that drop-proof tech is really drop-proof? We put some ruggedised gadgets to the test the hard way. Plus, we test connected home gym equipment to see what it adds to your workout, we review Amazon's Echo Plus and Echo Spot to help you work out which is best for you, and we take a look at the best wireless stereo bookshelf speakers. We also got the chance to try out the hilariously overpowered might of the iMac Pro, as well as the much more sensible (but still excellent) Surface Book 2 15-inch and Panasonic LUMIX G9 camera. And since it's spring, we rated smart air quality monitors to help you keep on top of allergies (or just too much carbon dioxide).